Members: Remember to update your profiles in the new Directory! Bonnie Badenoch, Ph.D., LMFT is the co-founder of Center for Brain-Wise Living, a nonprofit organization dedicated to fostering awareness of the brain, mind, and relationships in the service of creating a more awake and compassionate world. She is the author of Being a Brain-Wise Therapist: A Practical Guide to Interpersonal Neurobiology (W. W. Norton, 2008), and is an active member of the Global Association for Interpersonal Neurobiology Studies (GAINS). Judith Schore, Ph.D is Dean of Students and a core faculty member of The Sanville Institute. 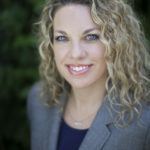 She is also a clinical and research faculty member of the Santa Barbara Graduate Institute and is Social Work Consultant for the Lifespan Learning Institute. Dr. Schore has a private practice in Northridge, California and is the author of Women in Transition. Of her many presentations at scholarly conferences, her most recent were at the Statewide Society for Clinical Social Work Conference in January 2009 and a presentation with Dr. Allan Schore at the AAPCSW National Conference in New York in February 2009.